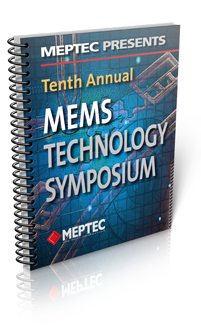 Part 1 described Janusz Bryzek‘s ambitious goal of a $1 trillion market for microelectromechanical systems (MEMS) that was the focus of the MicroElectronics Packaging and Test Council (MEPTEC) 10th annual MEMS Technology Symposium. In addition, sensor swarms, road mapping and market numbers were covered. Challenges, example applications, and key takeaways are discussed here along with a final score card on the $1 T market. Usual business advice includes thinking big to win big. Some organizations create Big Hairy Audacious Goals. Others like to find new markets that are underserved and grow to be number one. The semiconductor industry has Moore’s Law – the premise that the minimum cost point is achieved by doubling the number of transistors per chip every two years – driving it forward for almost fifty years. Janusz Bryzek set a dramatic and ambitious goal of $1 trillion sales for the microelectromechanical systems (MEMS) market in 2022. Even though the MEMS market is expected to have “only” $12 billion in revenue in 2012, he isn’t being called a fool. 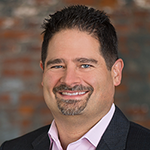 Having cofounded eight seminal Silicon Valley MEMS companies and currently the Vice President of MEMS Development at Fairchild Semiconductor (which recently acquired his last company), Janusz is taken quite seriously.